Here are just a few of the things going on in and around Prescott, Arizona this weekend December 1 – 3, 2017! The celebration of the holiday season begins with choirs singing, a message from the mayor, the Night Before Christmas being read, and the Christmas Parade. Acclaimed soprano, Carmen Elisa Cancel, returns to the YCPAC stage to join the YC Choirs, dancers, and orchestra in a magnificent Christmas Celebration featuring some of the seasons most beloved songs. Support your local artists who have made wonderful home-made crafts and gifts for the whole family. Get all your holiday shopping done in one stop. The Elks Theatre comes alive with the holiday spirit featuring a star-studded cast, special guests, and a seven-piece band complete with horns that will light up the theatre. The long-awaited sequel to the popular "The 1940’s Radio Hour," with noisy plumbing, missed calls, electrical blackouts, and over-the-top theatrics, this radio show is an entertaining excursion into a live radio show. Contemporary Eclectic Works in various media and styles by Prescott area artists. Enjoy the Annual Create a Tree Display on the 1st and 2nd floors of the Prescott Public Library. A juried exhibition highlighting the best of Yavapai College student’s artwork. Join us for "Arizona’s Christmas City’s" premiere event! 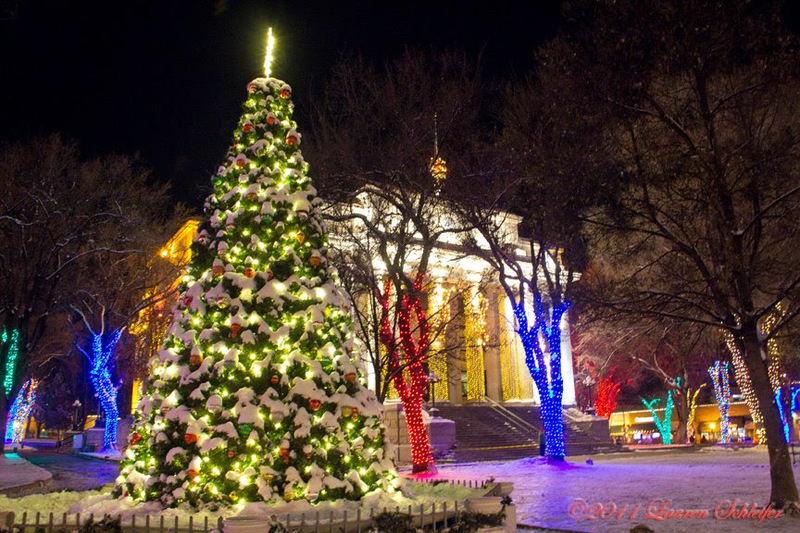 63rd Annual Courthou8se Lighting on Prescott’s Historic Courthouse Plaza. Musical Groups Perform @ 5PM / Lighting Ceremony @6PM. The Trio performs again at this beautiful, relaxed venue with great food and drinks. This information is brought to you by our friends over at Empire West Title Agency! Country Living magazine recently named Prescott, AZ one of America’s 23 best Small Towns for Christmas. Dubbed “Arizona’s Christmas City” in 1989 by then Governor Rose Mofford, Prescott boasted a number of events to usher in the holidays. In the mid-1950’s the tradition of the Courthouse Lighting began and in the early 1980’s the annual Christmas Parade, and the popular Acker Night Musical Showcase began. The 63rd annual Christmas Parade and Courthouse Lighting on Prescott’s Historic Courthouse Plaza are scheduled for Saturday, December 2nd. The parade will begin at 1:00 p.m. followed by the lighting ceremony at 6:00 p.m. The fun doesn’t stop there as the Acker Musical Showcase, known as Acker Night takes place on the streets, restaurants and shops of Downtown Prescott on the 8th of December starting at 5:00 p.m.
Prescott is full of adventure during the holidays and New Year’s Eve is no exception. On December 31st from 8:00 p.m. to 12:30 a.m. ring in the New Year with the annual Whiskey Row Boot Drop. A 6-foot illuminated Cowboy Boot at the Palace building’s flagpole is slowly lowered down to ring in the New Year. The best part is it’s free to the public. Once the celebrations have passed, you may want to consider making Prescott your hometown. Rich with historic heritage as well as beautiful neighborhoods to call home dubbed “Everybody’s Hometown” due to the fact that most who come to Prescott find something here that reminds them of where they grew up, “Everybody’s Hometown” seems most fitting. Are you ready to call Prescott home? Established in 1991, we offer full-service, boutique real estate service for clients who are looking to buy a home or land in Prescott Arizona. Comprised of a remarkable real estate team that is passionate about helping each client achieve their real estate goals, Kathleen Yamauchi was voted one of the top Most Influential Real Estate Agents in 2016 by Real Estate Executive Magazine. Contact Kathleen Yamauchi Group Real Estate or call (928)771-1111 today to make “Everyone’s Hometown,” your hometown. 2017 Holiday Events in Prescott, AZ! Here are just a few of the things going on in and around Prescott, Arizona this weekend November 24 – 26, 2017! Enjoy this one mile drive through festive holiday lights. Enjoy free pool all day, line dance lessons beginning at 6:30pm, and karaoke at 7:30pm. 4th Friday Art Walk is a night to mingle with Jo, Judith, and Deborah of "Art a la Carte" fame, and the artists from the eclectic works exhibit. The Larry Wills Trio will perform during the art walk. Enjoy refreshments and wine while listening to music. Take a journey through Christmas in Ireland with superb dancing, singing, and Irish traditional music celebrating the international spirit of the holiday season. Journey through our 22 different themed rooms adorned with over 1/2 million lights, complete with a large Department 56 Village Display and model trains by Point of Rocks Model Railroad Club. 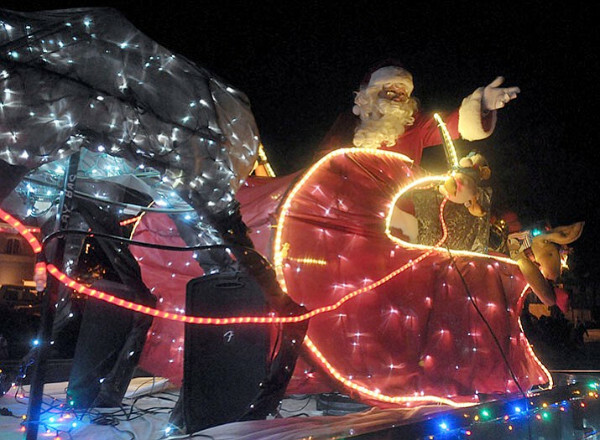 Holiday Light Parade kicks-off the holiday season with a parade of festively lit and decorated floats. Come and join in the After-Parade Party fun when the parade Ends on the Mile High Middle School field. Blaine Long’s music is marked by warm and soulful vocals, and a powerful rhythmic acoustic guitar style. Small Business Saturday is a nationwide event designed to inspire Prescott to Shop Small, Eat Small, and support the local economy. Pick up a special Local Business Coupon Book at Prescott Chamber Visitor Center. Kirtan is a simple and powerful form of singing meditation which helps us quiet the mind, and move into the being made of the heart. A very special "Sing-A-Long" concert of favorite folk songs of thanks and giving, with Phoenix blues greats such as Eric Ramsey, MacDougal Street West, and Fare Thee Wells. View hundreds of gingerbread villages at Prescott Resort and Conference Center. Come, socialize and enjoy lively and beautiful music that will make your first and third Sundays of each month special! Please bring a treat to share during the breaks. No partners necessary. Hear about the Great Fire of 1900, Virgil Earp, the dynamite demon of Whiskey Row, Whiskey Row’s origins, and much more. This information is brought to you by our friends over at Empire West Title Agency. 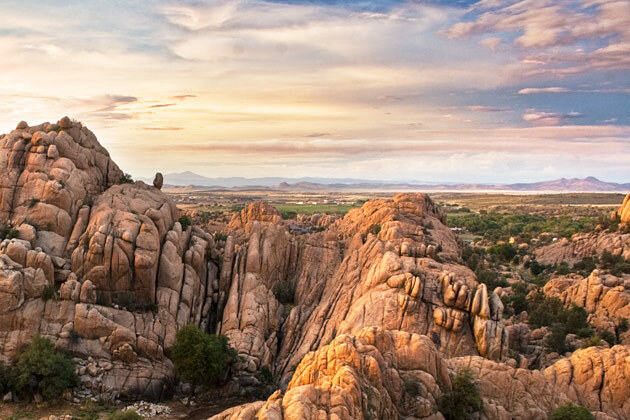 Things to do this Weekend in Prescott, Arizona! Here are just a few of the things going on in and around Prescott, Arizona this weekend November 17 – 19, 2017! In the Mezzanine Gallery, "Art a la Carte" features Woven Wearables Jo Manginelli, polymer clay jewelry by Judith Skinner, and felt sculpture by Deborah Salazar. Explore instruments through art and, learn about artists who paint children playing musical instruments. Shop for hand made items such as quilts, wall hangings, table runners, holiday gift items, and much more. One Stage Family Theatre proudly presents "Annie." 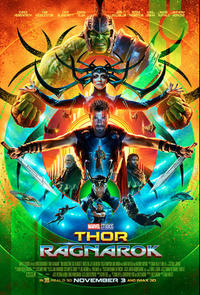 This classical musical is a must see for the whole family. Brahms Piano Trio in A Minor will be played on bassoon, clarinet, and piano. In addition, a piece will be played by a Clarinet Quartet. Drawing form jazz and bluegrass, songstress Dana Louise & The Glorious Birds astonish their audiences with vibrant, melodic storytelling and a powerful folk sound on contemporary beat. Take a journey through the fall stars in this special new series about stars, planets, and much more. Yavapai Flute Circle promotes the Native American flutes, preserves its history, and respects its cultural origins and traditions. Come watch baseball as it was played using the rules of 1860 in Prescott’s own historic ballpark. The Annual Christmas Bazaar offers special and unique gift ideas, holiday housewares, decorations, antiques, turquoise jewelry, and baked goods. Transcendental Meditation promotes health and well-being of mind and body, and improves the quality of life. Kathleen Yamauchi Real Group Real Estate has been serving the Prescott, AZ area since 1991. Lead by Kathleen Yamauchi a Graduate of the Realtor Institute, associate broker, e-Pro and Certified Residential Specialist, Kathleen was voted one of the 100 Most Influential Real Estate Agents by Real Estate Executive Magazine in 2016. In 2002, Kathleen opened her office, and after the “crash” of 2007, she evolved into the premiere boutique real estate office in Prescott. With a focus on a high level of service and insisting on unquestionable integrity, she carefully assembled a team of experienced individuals to fulfill each position of her group. Today, the Kathleen Yamauchi Group team is finely tuned, combining over 100 years of experience plus a variety of life skills into a professional, efficient group. As such, when you work with one member of the group, you get all of the Kathleen Yamauchi Group team experience. Specializing in Prescott residential properties, we sell well over 100 properties yearly. Kathleen Yamauchi Group Real Estate offers full-service, boutique real estate service for clients who are both looking to buy or sell homes for land in Prescott Arizona. Our in-house marketing team uses the very latest real estate advertising technology, and because we employ the services of a professional real estate photographer, your property listing will stand out from the rest of the homes on the market. We craft and position the message of your property above all of the other noise in this market. Although we carry an expansive list of homes and land for sale in Prescott, we are not limited to showing you only the listings that we have. Any property that is listed in the Multiple Listing Service (MLS), as well as newly constructed homes in new home subdivisions and for sale by owner properties (FSBO), can be shown by our real estate professionals as well. At the Kathleen Yamauchi Real Estate Group, you get all of the resources you will need to find that unique property that was meant just for you. Open 7 days a week and located on Gurley Street in downtown Prescott, AZ, the Kathleen Yamauchi Group is with you every day – every step of the way! Contact Kathleen Yamauchi Group Real Estate or call (928)771-1111 to get started on your journey to find the right property at the right price in Prescott, AZ. Here are just a few of the things going on in and around Prescott, Arizona this weekend November 10 – 12, 2017! An annual rummage sale held each fall for avid bargain hunters who like to shop for a cause. Proceeds help the United Army Friends. "Adorn Yourself" features wearable art creations on display in the Mezzanine. Griefwalker is a lyrical, poetic portrait of Stephen Jenkinsons work over a twelve year period. Prescott Valley Public Library’s Meditation Circle invites individuals of all levels to actively practice in moment-to-moment mindfulness with other interested individuals. A fun way to kick off the holiday season with special deals, appetizers, and door prizes. Enjoy 20-30 minutes of stories, songs, and activities for the whole family. Friends of the Verde Rivers President Chip Nation and Board Member Brent Bitz will answer questions about how residents can help protect the Verde River. Opening ceremonies will begin at 10:30am on he stage at Cortes and Union Streets. The parade will begin at 11am with a brief stop in front of the stage at 11:11am. This market hosts 30 local farmers, ranchers, and art and craft vendors. Prescott International Folk dancers. We will help you learn dances from several different countries. 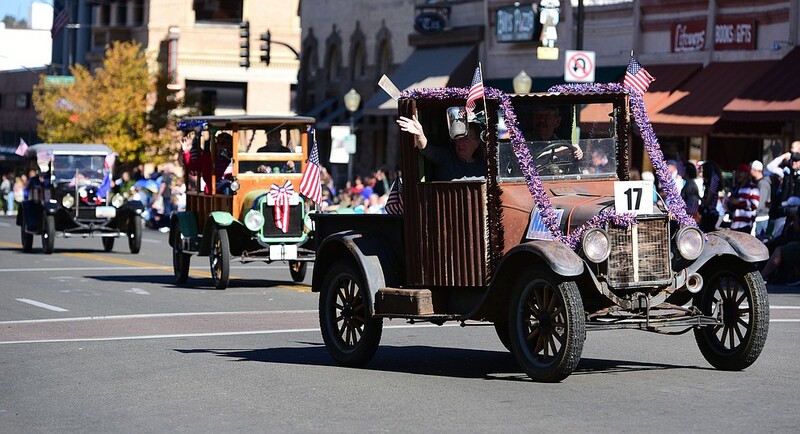 Don’t Miss the Veterans Day Parade! Winter is just around the corner and winterizing your home not only helps you and your family stay warm and snug during the upcoming months, and help you save on your energy bills, but more importantly it helps you protect your home from damage that can lead to costly repairs. So, here is a list of things below you can do to help further winterize your home. Inspect your Gutters – Did you know that clogged gutters can cause water that is blocked to freeze and seep into your home? Take the time to clean them out and make sure that your downspouts are carrying the water away and not toward your house. Locate and repair drafts – From electrical outlets to door frames, windows, and recessed lighting, these areas typically tend to be drafty. Sealing up these areas can save on your energy bill. Simply use a wet hand, or incense, to move over the areas to spot potential leaks. Don’t forget to check you insulation – Attic’s require twelve inches of insulation and moisture problems can occur if your insulation has backing paper, so take the time to do an inspection.While you’re checking your attic’s insulation, don’t forget to check for any exposed pipes outside as they must be insulated from the cold too. Not only does it keep the pipes from freezing, it will prevent condensation from freezing on them, which will help save on energy bills. Change Furnace Filters – Temperatures will be dropping soon so turn on your furnace and make sure that it’s working properly. Also, don’t forget to change the filter in your furnace. When you put the first furnace filter of the season in, don’t forget to set your digital calendar to remind you to replace it at monthly intervals throughout the cold season. Check your smoke alarm – While you are inspecting so many other aspects of your home, don’t forget to make sure that your smoke alarms are all functioning, and replace the batteries as needed. Also, make sure that you have a functioning fire extinguisher as well. Forecast for a Warmer-than-usual Winter! With the forecast for a warmer winter than normal, this is the perfect time to sell your home in Prescott, and the Kathleen Yamauchi Group Real Estate can assist you in selling your home and buying the home of your dreams. Established in 1991 we provide our clients with services and results that you will not get from a single real estate agent, or simple real estate partnership. Our full-service, boutique real estate service includes all of our exclusive services at the same price as hiring a single agent and another brokerage. Contact Kathleen Yamauchi Group Real Estate or call (928)771-1111 and start exploring all the beauty that Mother Nature has to offer in Prescott today! PEO Chapter DX is taking orders for Honey Baked Products including Whole Fully Cooked Turkeys, turkey breasts, side dishes, soup mixes, gourmet desserts, and gift certificates to be delivered to Prescott Monday November 20th. This one-man, musical, comedy performance of our beloved George Burns is sure to delight the entire family! Library staff are available to help with email, downloading apps, basic computer skills, phones, tablets, and social media including Facebook on Fridays 11-1pm in the 2nd floor PC Lab. Wearable art creations by Barb Wills, Joan Knight and Laurie Fagen, though 11/14. This group workshop is open to all musicians and their instruments as well as those wishing to attend and just listen to some great music. Students please contact Noble Hathaway – noblehathaway@gmail.com or call 623 687 4251 to register. The Prescott Chamber Orchestra will open its 35th season with a rich classical program featuring our own concert master, Bill Cummings, performing the Beethoven Violin Concerto in D Major. Imagine Albert Einstein explaining the Theory of Relativity, in a FUN, EXCITING way, without mathematics or a knowledge of physics required. We will have over 20 local artisans, bake sale, hot cider and coffee, children’s play area, face painting, and crafts table. Kids will be able to create their own work of art to take home! Free open house of our new botanical garden. Huge Sale of handmade crafts, gifts, and food items. Do you want make a change? Please join us for Prescott’s 2nd annual Out of the Darkness walk to fight suicide. The walk is a 1 mile loop around and park and is handicap accessible. Ethnobotany: The Medicinal & Edible Bounty of the Central Highlands. Come visit Heritage Park Zoo for $1.00 admission. Enjoy an afternoon of history and fun with a reception featuring light hors d’oeuvres, drinks and entertainment by renowned local musicians, Scandalous Hands, and door prizes. Now in their 51st season providing Prescott area music lovers with classical music experiences that few other communities of its size can claim.